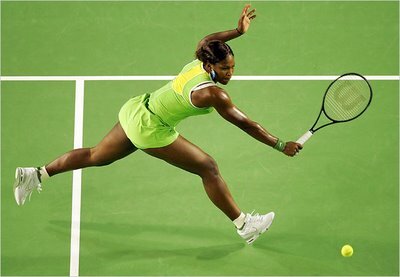 Serena Williams won the Australian open this Sunday after critics slammed her for her weight gain. She also won the Australian Open in 2003 and 2005. She dedicated her latest title to her sister Yetunde, who was murdered in September 2003 in Compton, Calif. Williams became the first unseeded woman to win the Australian Open since Chris O’Neil in 1978. I just wanted to thank EVERYONE who's been patient with me and the blog! I didn't realize how much working/school/social life/stripping can affect how often I update my blog. I promise I won't quit on ya'll. Ok, I don't promise, but I pinky swear! Juiicy you already know I got your back! I came by leaving my Ugly Betty updates. I'm watching it now and I can't believe what happened yesterday! Oh my god, there's a lot of useful info in this post! Will Smith on the set of "I Am Legend"